In a small Quebec village called Richelieu, on the south shore of Montreal, was born Catherine Avoine. After only a few years of her being born, her father, a carpenter and musician, decided to move the family from Quebec, down south to New Orleans, Louisiana USA, so that he could provide a better life for his wife and children. Unknowingly, this decision to move the family had an effect on Catherine’s music career for years to come, the beginning of a musical journey. Catherine’s parents played an important role in shaping her talent. Her mother, a sensitive and creative young woman, always exposed her children to great music, including that of James Taylor, Cat Stevens and The Beatles. Her father, the musician in the family, listened to Gospel and religious music. Life in Louisiana had a lot to offer in terms of music. A combination of Jazz, Blues, Soul, Gospel, Country and Folk all had a tremendous effect on shaping the artist. It is no wonder that it is such a challenge to identify the magnetism of Catherine’s vocal style and abilities. Several years later the family returns to Canada. Music played an important role in the Avoine family and Catherine’s mother insisted on keeping it that way. She enrolled her kids in the “Kyriole”, a choir in Chambly, Qc.. Being in the choir allowed them to make new Christian friends, as well as pursue the family’s love of music. It was a perfect combination and the beginning of a wonderful adventure! Due to constant positive exposure to music, Catherine decided it was time for her to study music privately. During that time, between, the ages of 14 and 19, she became involved in different musical groups and bands, and started producing many of her own shows. Wanting to take music to the next level, she joined the Concordia University Jazz Program. Concordia’s music program allowed her to surround herself with musicians that made her musical roots come to life. Her talented peers joined forces with her and together they created opportunities and performed in the most exclusive venues all over North America, such as, the Taj Mahal and Caesars Palace in Atlantic City, Chateau Laurier in Ottawa, Ritz Carleton in Montreal, the Palms in Las Vegas. After many years of musical performances, Catherine’s career took a new and exciting turn. In 2015 Catherine was a participant in the popular television show, “The Voice” called “La Voix” in French Canada. She proudly made it to the finals and gained much deserved acclamation from the public. 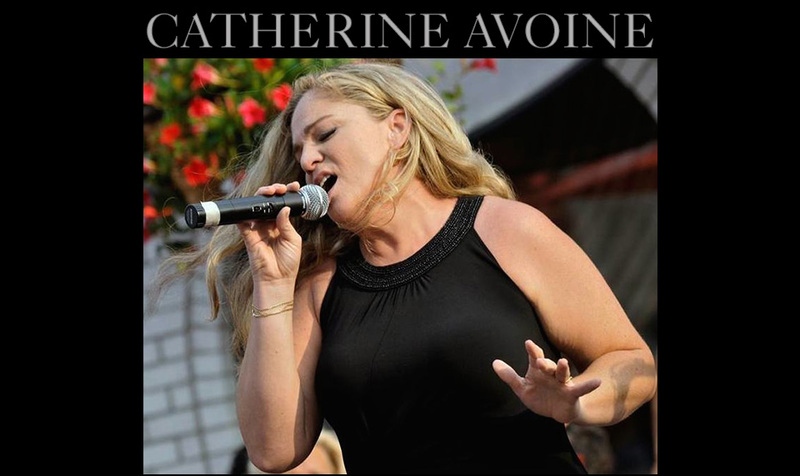 Catherine Avoine is recognized in the music industry, as a singer and accomplished performer, she is sought-out by event organizers of corporate events, weddings and casino shows. Catherine has had numerous opportunities to travel around the world. The most distinguished, insisted on having “Dame Avoine” as their own personal singer, to animate their warm and exclusive evenings.